Breast revision surgery is a procedure that women may find necessary for a variety of reasons.  After a breast augmentation, some patients want to upgrade their implants from saline to silicone (or vice-versa), while others desire to increase or decrease the size of their original implant. Some women have experienced complications, such as scar tissue forming around the implant (an effect known as capsular contracture) or implant rupture, and need to have it replaced. Since breast implants are not considered lifetime devices, some patients choose to exchange their implants as a preventative measure after a number of years.  Still, there are some who are simply dissatisfied with previous breast augmentation results and want to correct certain issues, such as shape and symmetry. Breast revision surgery at Copeland Cosmetic Surgery can help you achieve the breast enhancement goals you desire with successful results. Our board-certified plastic surgeon, Dr. Jeffrey Copeland, is well-versed in a variety of breast revision methods and will determine the proper technique for your specific needs during a pre-surgery consultation. Depending on your goals, Dr. Copeland can remove your implant and insert a new one, increase or decrease your bust size, or reposition your implants to improve symmetry and adjust cleavage spacing. The actual procedure will vary depending on your reasons for revision, but Dr. Copeland will generally access your implant through the original incisions in order to minimize any noticeable scarring. He can also remove any buildup of scar tissue around the implant that may have developed since your initial surgery. Recovery from breast revision surgery depends on the specific type of procedure you undergo; however, the process is typically less strenuous and time-consuming than your original breast augmentation recovery. Some bruising and swelling can be expected after surgery. Any discomfort you may feel can be alleviated with medication. You can generally resume your normal daily routine within a week, but strenuous activity or exercise should be avoided for about a month. Dr. Copeland will talk with you about all aspects of the procedure and what you can expect during recovery at your initial consultation. For more information on breast revision surgery and how it can help you achieve your breast enhancement goals, please contact Dr. Jeffrey Copeland at Copeland Cosmetic Surgery today. Our staff will be happy help you schedule a consultation and assist you in any way we can.